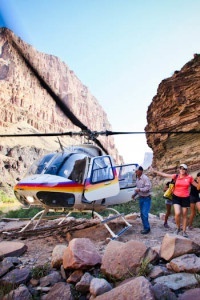 I had much trepidation about the whitewater rapids and helicopter ride, etc, on our Grand Canyon vacation but the experience was great fun and safe. We had never camped before or rafted or climbed rocks or jumped from cliffs so all that was new and exhilarating for two people in their 60's. 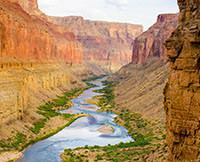 All aspects of this Grand Canyon trip were well coordinated and the Western River guides were most professional.